The OCti-C Cannon Pen won't be the projectile launcher that helps you declare desktop warfare, but it will sit poised and at the ready on your office or home desktop, just waiting for someone to ask what you want from the taco truck, or pass out drunk and primed to have a mustache drawn on him. 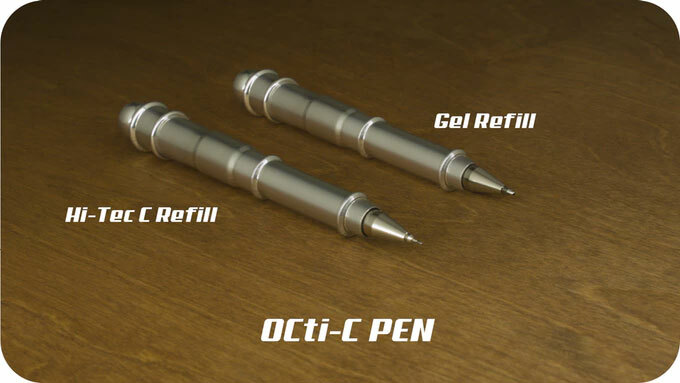 The OCti-C Cannon Pen indeed performs standard pen duties, with its barrel filled with either a Hi Tec-C or Gel Pen refill. Despite the piece's groovy design, creator Robert James says the pen is well-balanced and comfortable in the hand. And even if it's not, how long do you usually spend writing by hand anymore these days anyway*? Even as nothing more than a display and conversation piece, a pen and pen stand fashioned into a medieval cannon is pretty alright. 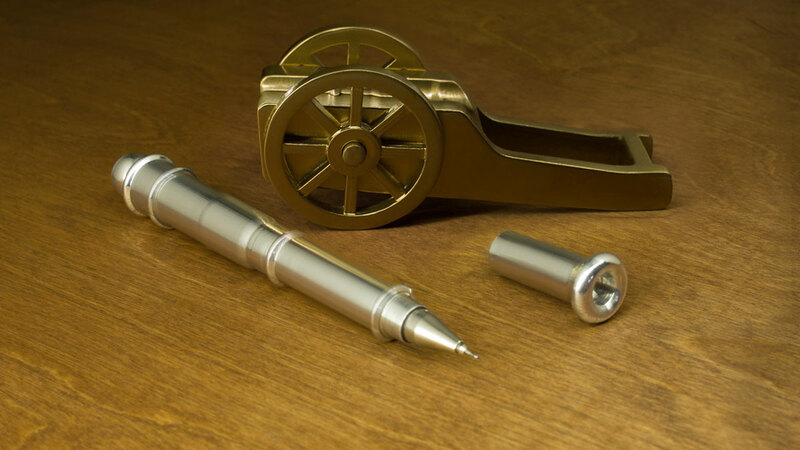 Seeking crowdfunding on Kickstarter through February 24, 2019, the OCti-C Cannon Pen portion comes in backers' choice of grade 2 titanium or brass. All of the cannon stands are brass. *Holy crap, the other day I had to write out 12 checks for the parking space I rent from this super-elderly woman in my condo building - she likes having separate checks so she has a reason to walk to the bank each month - and I thought my hand was going to fall off my check #4. By #9, I was completely numb, and good luck to the bank figuring out how much money I wrote to deduct from my account those last 3 months.